Single tickets to My Urrwai are now on sale. See My Urrwai … your life will be better for it. Koedal (Crocodile) and Waumer (Frigate Bird) woman, Ghenoa Gela, is a strong Torres Strait Islander from Rockhampton, Central Queensland. Her background is in Torres Strait Island dancing and since receiving a Diploma in Careers in Dance, she has been a Sydney based independent performing artist working across several mediums including dance, circus, television and stage. Her credits include Mura Buai – Everyone, Everyone (Choreographer/Co-Director with Force Majeure Artistic Director Danielle Micich); Nothing to Lose (Force Majeure – additional choreography with Kate Champion); #GenuaGela, short solo work (Performer, Choreographer, Director, Nula Nura Residency, Performance Space); Move it Mob Style (Choreographer and In-Studio Host); Top 100 – So You Think You Can Dance Australia 2014; The Piper (My Darling Patricia, Edinburgh Fringe 2015); Fragments of Malungoka – Women of the Sea (Keir Choreographic Award Winner 2016). Ghenoa also facilitates dance workshops in urban, regional and remote communities. She has worked in programs such as Young, Black & Deadly, ARMTour and Vibe Alive just to name a few. 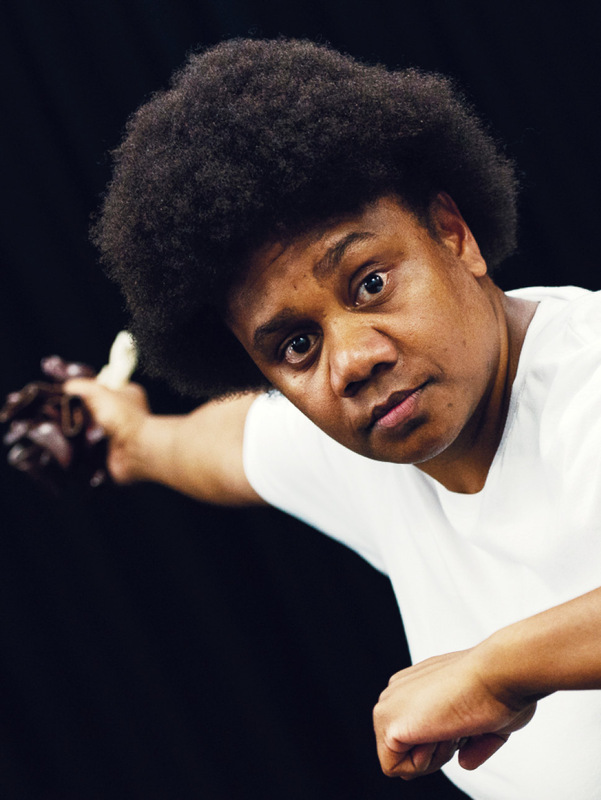 Ghenoa recently returned from Edinburgh Fringe, where she performed with award-winning collective, Hot Brown Honey, and recently returned from Noumea with Broome-based dance-theatre company Marrugeku developing a new work. Ghenoa’s arts practice is inspired by her family stories and passion to share her Torres Strait Islander culture. Rachael is one of Australia’s most recognisable faces of the Australian film, television and theatre industry with performance credits including the AFI-winning Radiance and the stage production of The Sapphires. A WAAPA graduate, Rachael’s outstanding performances have been acknowledged with a Green Room Award and a Sydney Theatre Critics Circle Award. Rachael has also worked as a presenter for ABC Message Stick and as an acting coach on films such as the multi-award-winning Rabbit Proof Fence. Rachael’s first taste of directing was Stolen (1992) for ILBIJERRI Theatre Company; however, it wasn’t until 2009 that she rejoined the company as Artistic Director. Since then she has directed Sisters of Gelam (2009), Jack Charles V The Crown (2010), Foley (2011), Beautiful One Day (2012) and Which Way Home (2016). Rachael currently sits on the board of Black Arm Band, the Circus Oz Indigenous Advisory Panel, Australian Opera Indigenous Advisory Panel, Balnaves Indigenous Playwrights Award Panel and the Green Room Awards Theatre Company Panel. 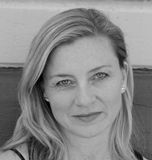 Kate has over thirty years’ experience as a director, choreographer, teacher and performer across multiple art forms. Kate was the founding Artistic Director of Force Majeure (2002-15). She has worked in theatre, dance, film, circus and opera with arts companies and institutes including Belvoir, Sydney Theatre Company, NIDA, The English National Opera, The Song Company, Legs on the Wall, NICA, Dance North, The Australian Dance Theatre and DV8 Physical Theatre – London. In 2016 Kate directed the play Swallow, the inaugural production of the newly established National Theatre of Parramatta, written by Stef Smith. Previous to this Kate was Associate Director on Neil Armfield’s production of The Ring Cycle for Opera Australia in 2013 (re-mount 2016); co-directed Food, a co-production between Belvoir and Force Majeure (regional tour 2013); directed Never Did Me Any Harm, a co-production with Sydney Theatre Company (Sydney, Adelaide and Melbourne Festivals plus regional tour 2016) and Nothing to Lose for Sydney Festival /Dance Massive 2015. As Artistic Director of Force Majeure, Kate devised and/or directed Same, Same But Different, Already Elsewhere, The Age I’m In and Not in a Million Years. Kate won a Helpmann Award for her performance in her solo show Face Value. Michael is a NIDA-trained set and costume designer for theatre, dance, opera and film and is currently an associate lecturer in design at NIDA. Most recently Michael designed set and costume for You Animal You with Force Majeure, Jasper Jones, Mark Colvin’s Kidney and Ghosts for Belvoir, Three Little Words for Melbourne Theatre Company, Who’s Afraid of Virginia Woolf for Ensemble Theatre and The Merchant Of Venice for Bell Shakespeare. Michael’s previous theatre work includes Belvoir’s Hir, Angels In America, A Christmas Carol and The Dark Room, which were all nominated for Best Stage Design at the 2017, 2014, 2013 and 2011 Sydney Theatre Awards respectively. Hir is also nominated for Best Costume Design. Other theatre highlights include Ivanov, Fool For Love and The Glass Menagerie for Belvoir; Jumpy for Melbourne Theatre Company/Sydney Theatre Company, As You Like It for Bell Shakespeare and The Aspirations Of Daise Morrow for Brink Productions in South Australia. Ania is a composer, producer and multi-instrumentalist who has performed her original music and scores in four different languages on five continents. 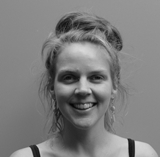 Ania works as a producer and Musical Director for Yothu Yindi and The Treaty Project. She is also a member of DJ/production/musician collective Filthy Lucre, and has been the Musical Director at Circus Oz since 2014, after joining as a band member in 2010. International festival performances include Australia Now (Brazil, 2016), The Lincoln Centre Summer Outdoors Festival (New York, 2012), the World OUTGames (Copenhagen, 2009), and Singapore International Children’s Festival (2009). Back home, she has performed at events including the Sydney Festival, Melbourne International Arts Festival, Darwin Festival, Brisbane Festival, Homeground, Rainbow Serpent Festival, Strawberry Fields Festival, Port Fairy Folk Festival, Queenscliff Music Festival and St Kilda Festival, in addition to numerous regional Australian tours. Ania works frequently with Ghenoa Gela, composing the electronic scores for Winds of Woerr (2014) and Fragments of Malungoka (2016). In 2011, she won a Green Room Award for Best Musical Direction in Cabaret for her role in Yana Alana And Tha Paranas In Concert. Ania has also worked extensively as a composer with Polyglot Theatre, and on projects with NICA, the Women’s Circus, and Melbourne Workers’ Theatre. Niklas is an award-winning lighting designer whose practice ranges across contemporary artforms and performance styles including theatre, dance, opera, circus, musical theatre, comedy, events, exhibitions and public spaces. Niklas has designed for a range of leading Australian and international companies including Belvoir, Sydney Theatre Company, Melbourne Theatre Company, Malthouse, Chunky Move, Victorian Opera, Brink, ILBIJERRI Theatre Company, Dance North, Dancehouse, The Eleventh Hour, Ranters Theatre, BalletLab, Australian Centre for the Moving Image, Melbourne Festival, Sydney Festival, Adelaide Festival, Melbourne International Comedy Festival, Commonwealth Games Festival Melbourne, Federation Square and Waterfront City. Career highlights include designing lighting for Belvoir’s Helpmann Award winning productions of Angels in America and The Wild Duck which toured to the Vienna Festival, Holland Festival and The Barbican London; and lighting Rupert for Melbourne Theatre Centre which went on to commercial seasons at Sydney’s Theatre Royal and The Kennedy Center, Washington DC. Niklas’ other lighting theatre credits include Babyteeth, Who’s Afraid of Virginia Woolf?, The Promise, Baghdad Wedding, The Pillowman and Yibiyung. Niklas has won two Green Room Awards and received ten nominations. He has also been nominated for Helpmann Awards and Sydney Theatre Awards for his lighting design. Ghenola Gela. Photo by Jamie James.